Extra-curricular activities allow our students to gain new experiences and skills outside of lessons. 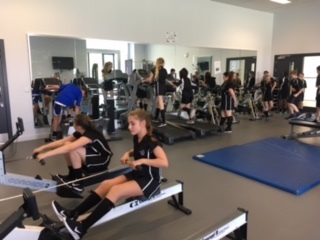 Lunch clubs and extra-curricular activities are offered by staff members who also work with external agencies to provide a range of different opportunities allowing each student to reach their own personal aspirations. 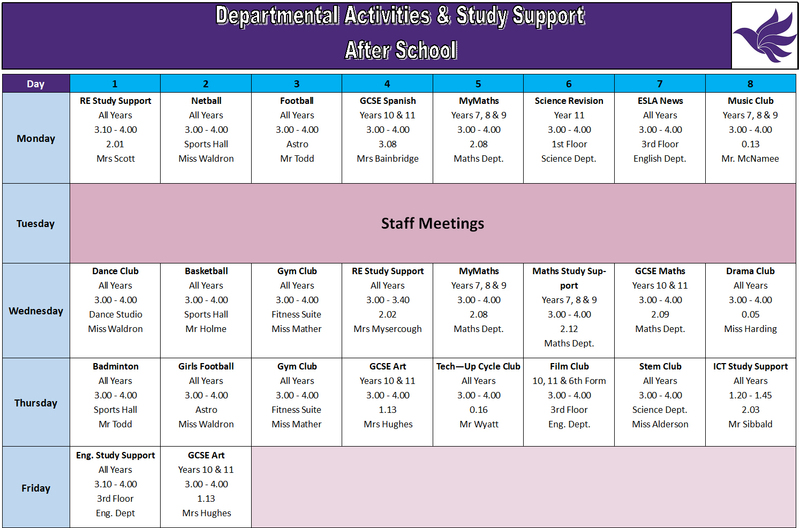 Our latest offering includes table tennis, dance, basketball, badminton, ICT and homework club. 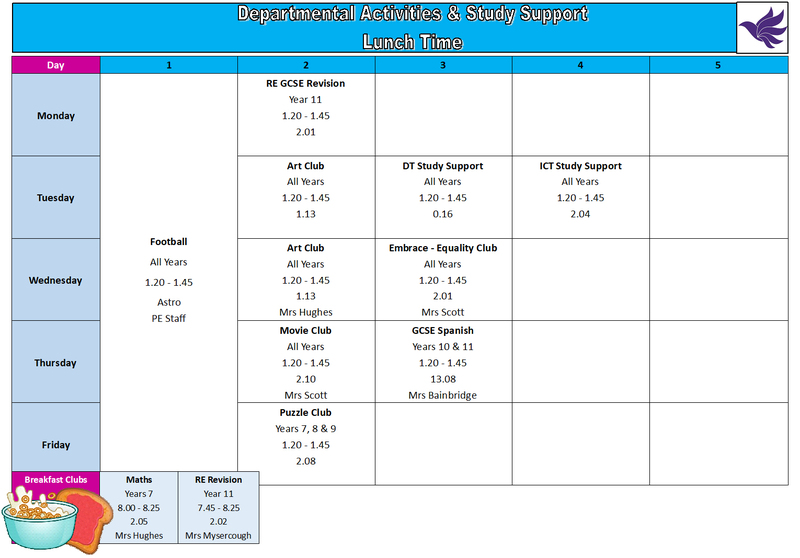 Please see the tables below for details about the different activities on offer at lunch time and after school. Raspberry Pioneers is a creative coding club that gives the students the license to try out new physical computing coding. We are currently trying to fight the zombie apocalypse using Raspberry Pi’s and Micro: bit’s. All the pioneers are fantastic young people and hopefully the next Bill Gates of the world. 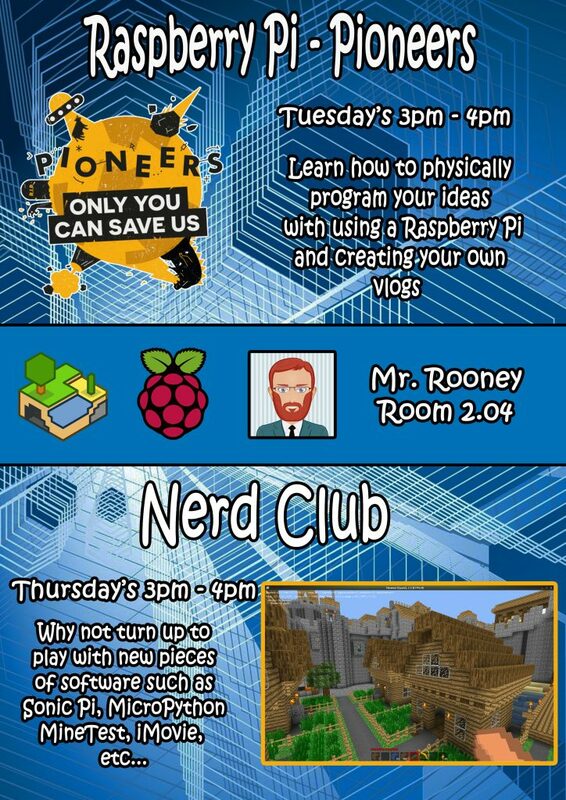 #NerdClub is another programming club but all the students take part in activities such as Robotics, Raspberry Pi education, Lego mindstorm, Micro: bit etc… We have also played Minecraft too in class which all the students get really addicted to. The club after Christmas will turn into a game design club using Unity. Student will be able to create their own 3D games using their own interests. This club currently has roughly about 15 young people turning up every Thursday.